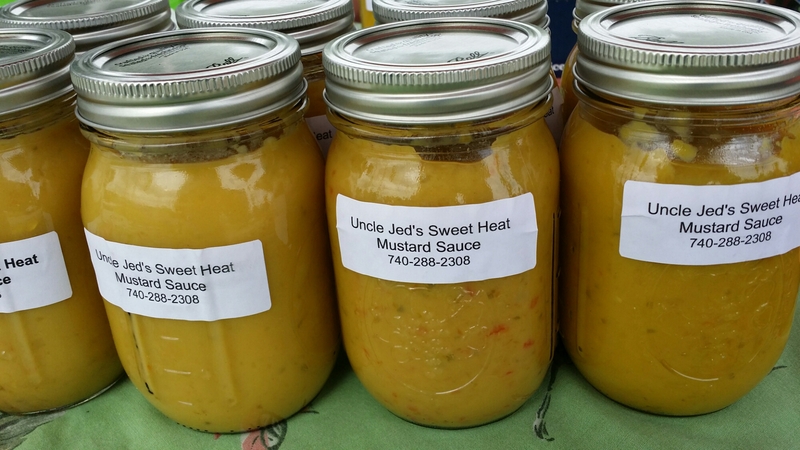 This week, I’m spotlighting Uncle Jed’s Sweet Heat Mustard Sauce which is made by Jed and Cheryl Kearns. They started making this delicious sauce over five years ago and gave away many jars to both family and friends. When Cheryl retired to be Nana (grandma), she started wondering if perhaps they could sell it. This is their first year at the Farmers’ Market, and business at their booth is always moving along at a steady clip. People buy this for $5/pint and use it on chicken, pork loin, and fish; my husband, Ted, loves it on corn dogs! 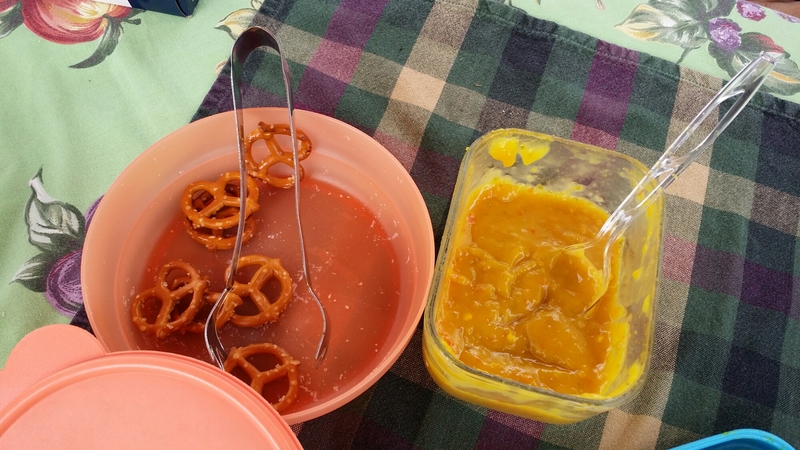 I personally think it’s fantastic as a pretzel and chip dip! It is definitely very versatile in the kitchen. Be sure to head on down to the Farmers’ Market and pick up your pint today!